Starbucks' Frappuccinos should be only an occasional treat if you're watching your weight. Calories vary depending on size and ingredients, but the drink is typically high-calorie and loaded with sugar. 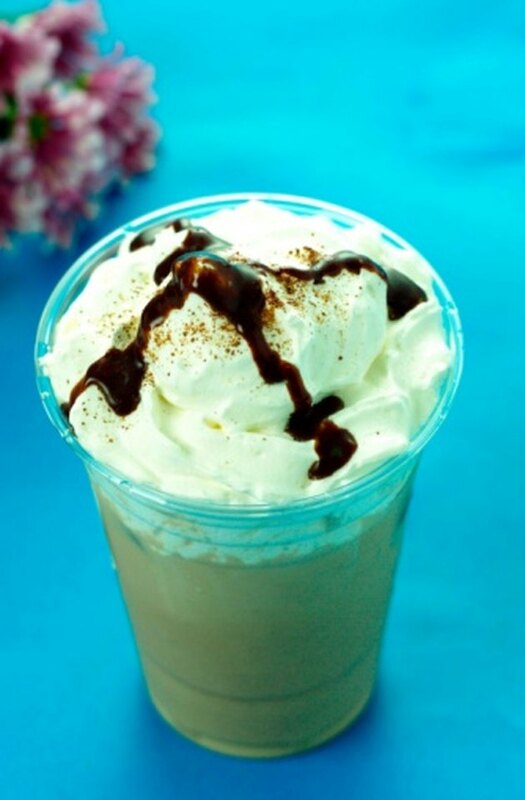 Frappuccinos are blended ice beverages sold by Starbucks. They're also sold in stores in bottled form. A Frappuccino consists of milk, coffee, flavor and toppings such as whipped cream. A tall Frappucino blended coffee has 170 calories, while a venti has 340 calories, according to the CalorieKing website. The tall size contains 2.3 g of fat, 1.3 g of which are saturated. It also contains 10 mg of cholesterol, 160 mg of sodium, 33.5 g of carbohydrates -- 28.5 g of which are sugars -- 3.5 g of protein and 125 mg of calcium. Drink regular coffee if you need a boost from caffeine and are trying to watch your weight. One cup contains only two calories, according to MayoClinic.com. If you choose a frappuccino, choose a tall rather than a venti. Order nonfat milk and no whipped cream or other optional toppings. Ask for fewer pumps of syrup. How Many Calories Does a White Chocolate Mocha Have?